Have you ever tasted creme fraiche? Mmm, it’s so good. Never one to leave well enough alone, I decided to make ice cream from creme fraiche. 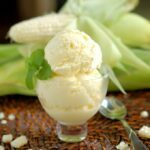 Creme Fraiche Ice Cream has a lovely, earthy flavor that goes well with fresh fruit, cooked fruit desserts and any type of ice cream sauce. I love making ice cream at home. 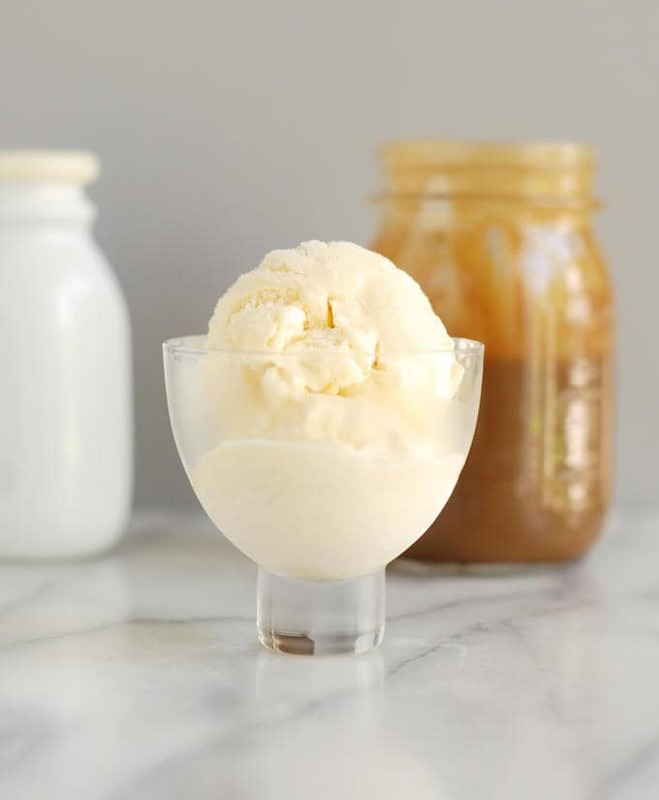 Sure, it’s easy enough to buy ice cream, but it’s fun to play with different flavors when making your own. 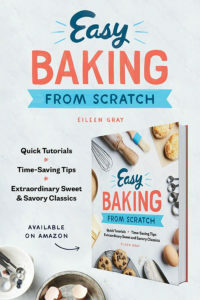 For years I used the same cream and milk base and simply added different ingredients to make new flavors. 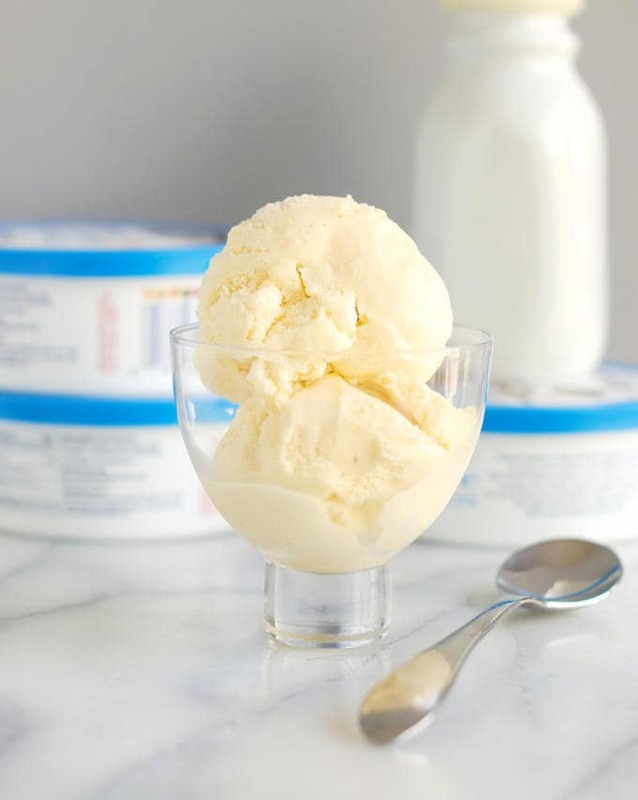 Ice Cream can be made with diary products other than milk and cream. 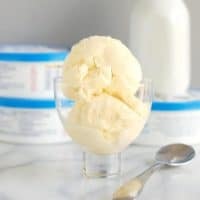 Recently, I’ve moved beyond heavy cream and have been experimenting with a variety of dairy products as the base for ice cream. I’ve made Cheesecake Ice Cream using cream cheese as the base. 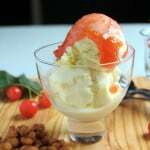 Because of my love affair with buttermilk as an ingredient, I just had to make Buttermilk Ice Cream, YUM! So now I’m making ice cream with another alternate dairy product, creme fraiche. Have you ever tried creme fraiche? I love it. It has a texture similar to sour cream, but it’s not overtly sour. 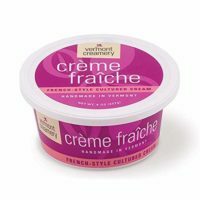 I would describe creme fraiche’s flavor as earthy with a bit of a cheesy background note. I know, I know, I’m not making it sound delicious. But creme fraiche really has a specific, wonderful and complex flavor. I originally made this ice cream last fall to go with Apple Tarte Tatin. Because of the holiday rush I didn’t have time to photograph either the tart or the ice cream. So, no blog post at that time. Now, ice cream season is coming! It’s time to break out my ice cream maker and get to work. 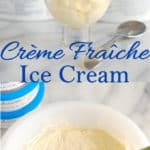 I couldn’t wait to give you this recipe for Creme Fraiche Ice Cream, which has me completely obsessed. Since the recipe was already done, I just had to run a batch and take the photos to get it to you. 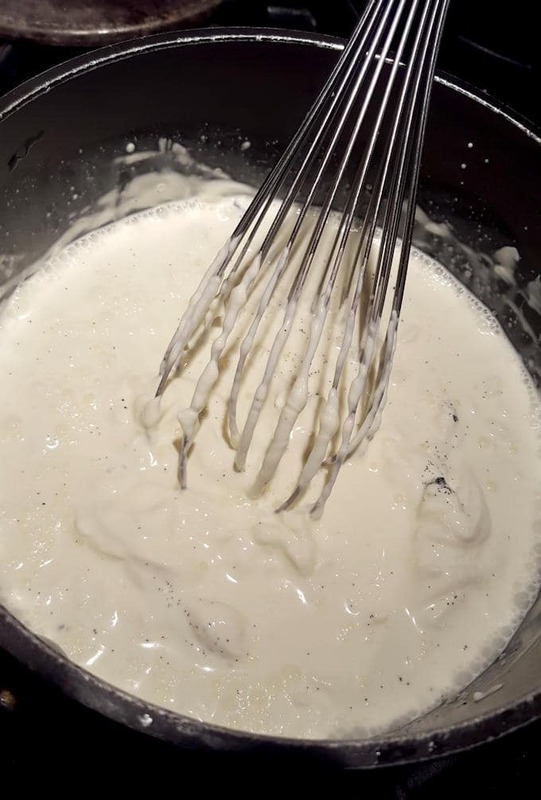 Stir the creme fraiche into the custard. It will thin out a bit as it heats up. Cook the custard until it coats the back of a spatula or spoon. 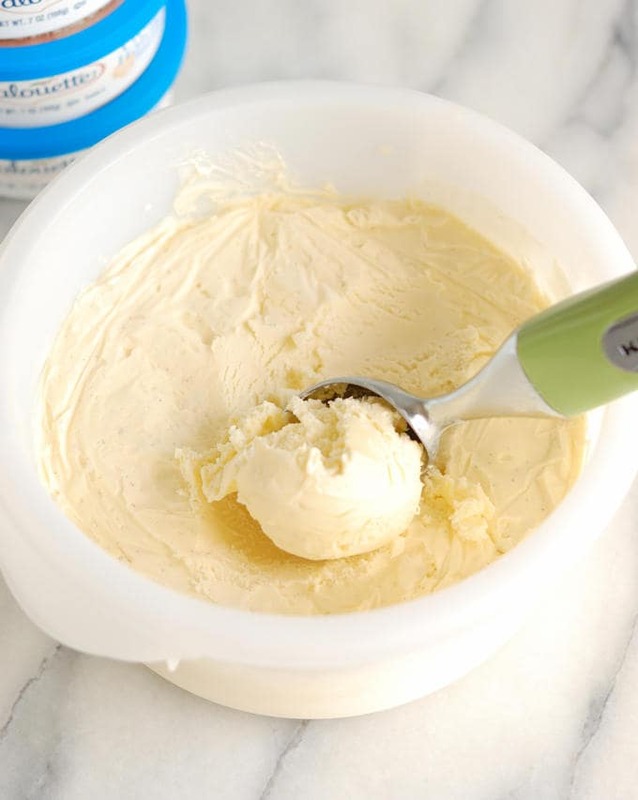 The rich earthy flavor of Creme Fraiche Ice Cream complements sweet and tart fruit flavors. It pairs perfectly with fruit pie, fruit compote or fresh fruit. If you love this recipe as much as I do please consider giving it 5 stars. 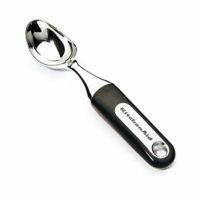 Creme Fraiche Ice Cream has a lovely, earthy flavor that goes well with fresh fruit, cooked fruit desserts and any type of ice cream sauce. Over a medium flame, heat the milk and creme fraiche in a saucepan with the vanilla bean seeds and the pod. As the mixture heats up it will thin out a bit. 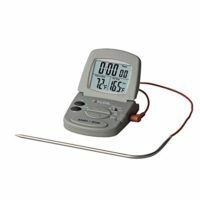 Heat just until scalding hot. Do not allow the milk come to a full boil. 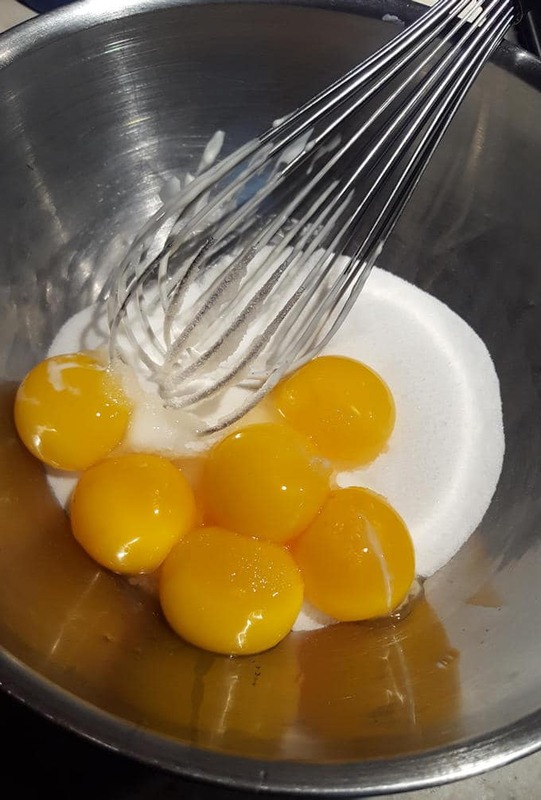 While the milk mixture is heating, whisk together the yolks and the sugar. Whisk the scalding hot milk into the yolks. Return the mixture to the pan and reduce the heat to medium low. 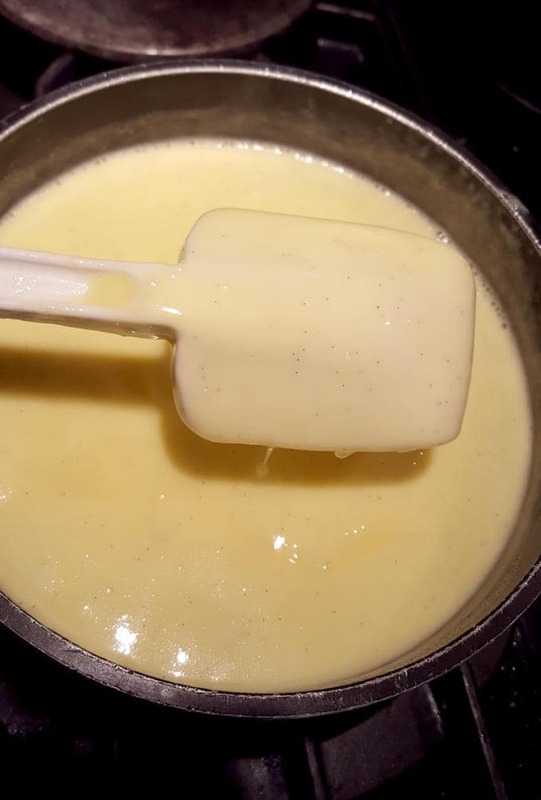 Cook the custard, stirring constantly, until it coats the back of a spoon or spatula or the temperature registers 165°F. Strain the mixture into a bowl, allow it to cool to room temperature. Leave the vanilla pod in the mixture while it cools then remove before freezing (see note). Cover with plastic wrap and refrigerate for at least 6-8 hours, until very cold. Run the custard in your ice cream maker according to the manufacturer's directions. Pack into a container. 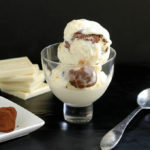 Place plastic wrap directly on the surface of the ice cream and cover the container with a lid. Freeze 8 hours or overnight. 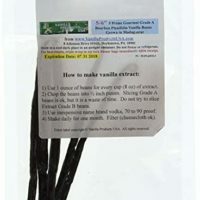 Save the vanilla bean pod to make vanilla extract or vanilla sugar. Homemade ice cream is so good! This one looks fabulous. 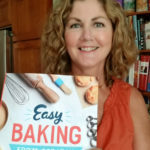 I agree with you Eileen with the fact that making your own ice cream is the best. And it definitely fun and exciting. Thanks for sharing! Yes, ice cream making is fun. Especially the part when you get to eat it! Homemade ice cream is so beyond good! So much fun and so exciting. It is the perfect treat for the summer months and also after dinner treat. Hi Brad, you’ll get about 3.5 – 4 cups of ice cream. 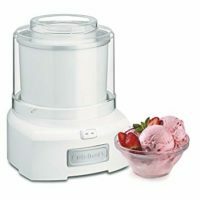 The exact volume will depend on your ice cream maker and how much air gets incorporated into the frozen ice cream. Thank you! I have a small 1 quart machine so I was trying to decide if I should use the full recipe or make a little less and adjust the amounts. Would you keep these amounts for 1.25 quart machine? Or would you make a smaller custard base? Hi Brad, I can’t say for sure, but I think it will probably fit. Worst comes to worst, you might just have to scoop a little out and eat it! Thanks. Will give it a try!!! Love the recipe.